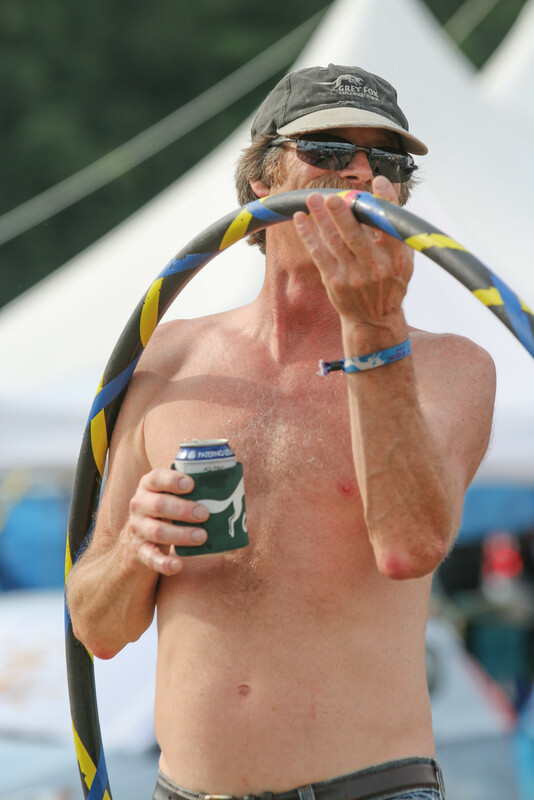 Every year at Grey Fox I see a hula-hooping man without a shirt and with a beer in his hand. 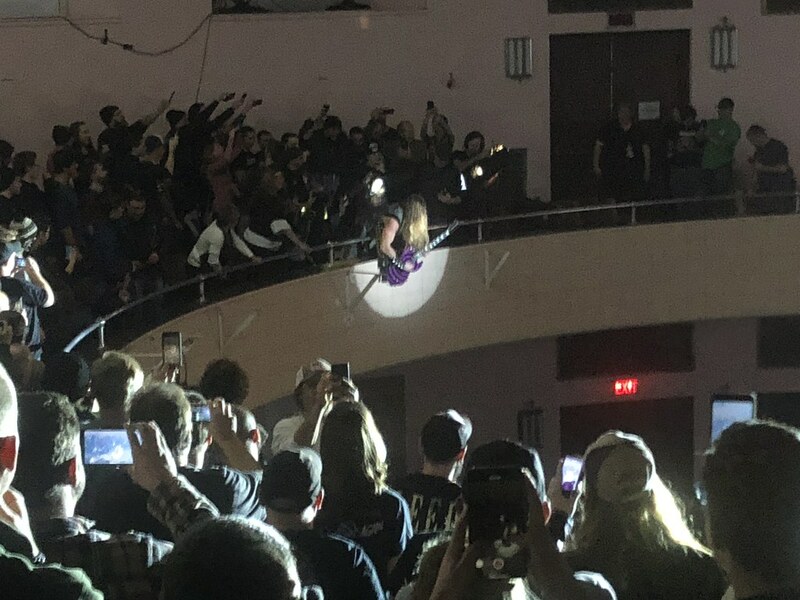 To be fair, he sometimes wears a shirt, and he sometimes puts his drink down, but this is his purest form. 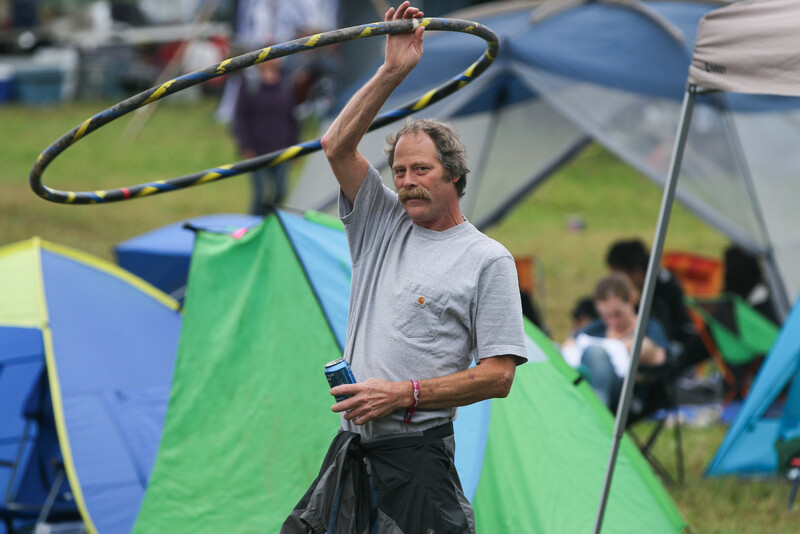 In 2018 we exchanged smiles early on in the festival so I walked over to say hi. 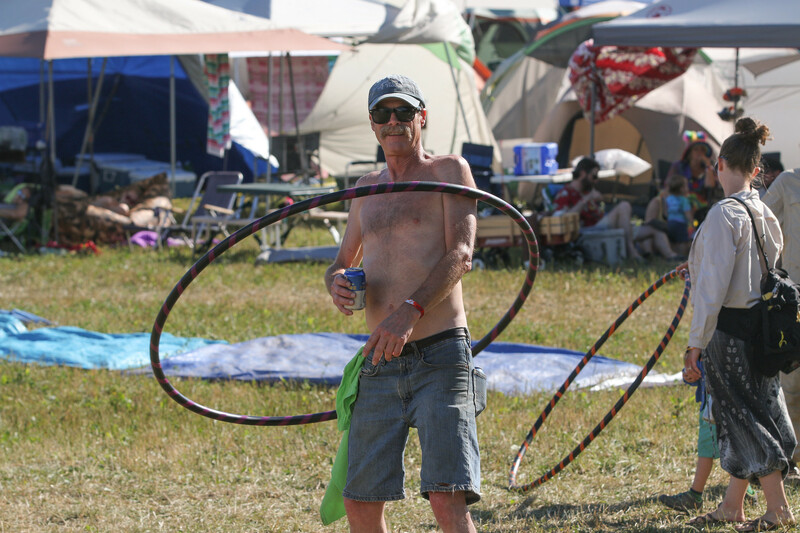 I mentioned that every year I take a photo of him in his current state; beer, hula-hoop, and no shirt. He responded with “some things never change”, which was a perfect response delivered with finality. Later on in the evening I was sitting on the t-shirt stoop taking pictures of hoopers and dancers. A somewhat-drunk woman came up to me to talk shop about photography. The light was fleeting, but I was happy to have a 4 minute chat. 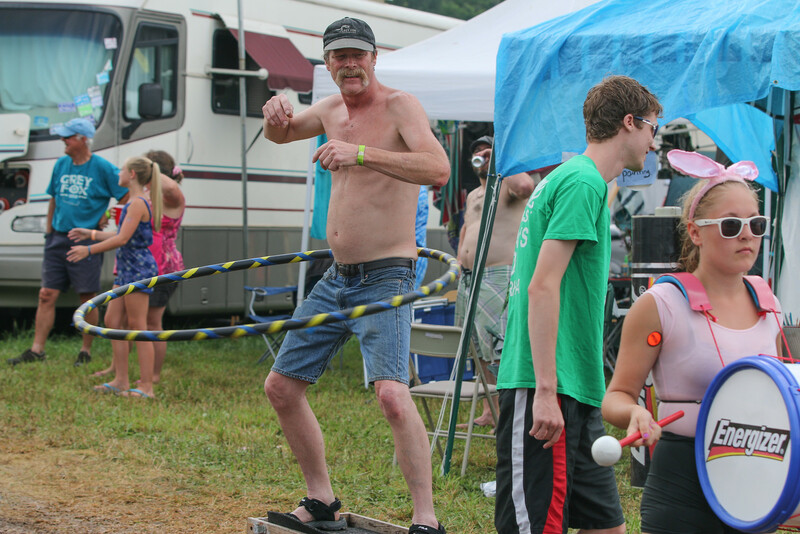 The beer drinking, shirtless, hooping man was in view, and this woman appeared to have some inside information. 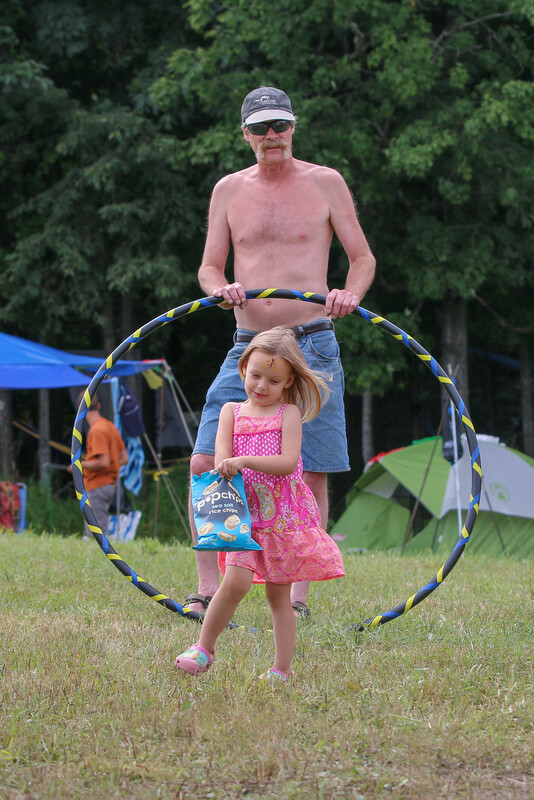 She mentioned that he had surgery on his leg and that hula-hooping was a recommended activity for recovery. The beer drinking probably doesn’t hurt either, but wasn’t specifically mentioned as an additional post-surgery remedy. She said that because of this fact he’s known as “Al Femur” around the festival. I have no idea if any of this is true, but it makes for an interesting story.